2. Get out of Seoul and visit unique local cities in Korea! This tour is recommended for those who are looking for a more exotic and special, unique tour than Nami Island or Korean Hanok Village. Wonju and Chungju may still be unfamiliar to foreigners; however, the cities’ uniqueness will capture your heart right from the start of the tour. 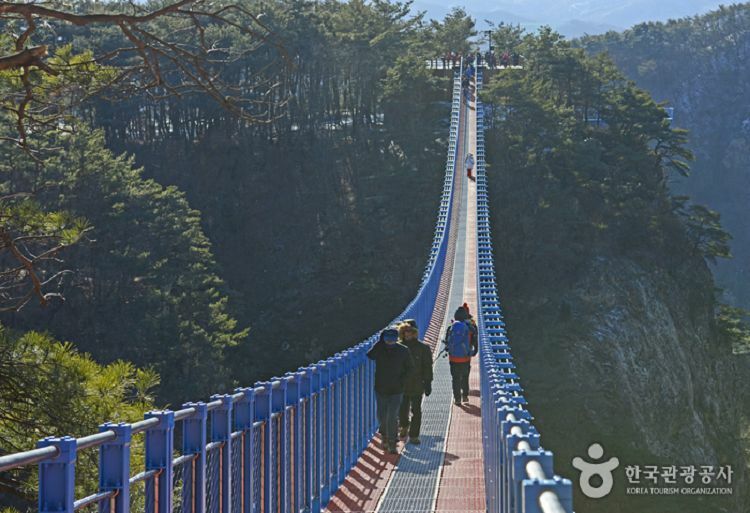 Walk on Sogeumsan Rope Bridge and feel the thrills. 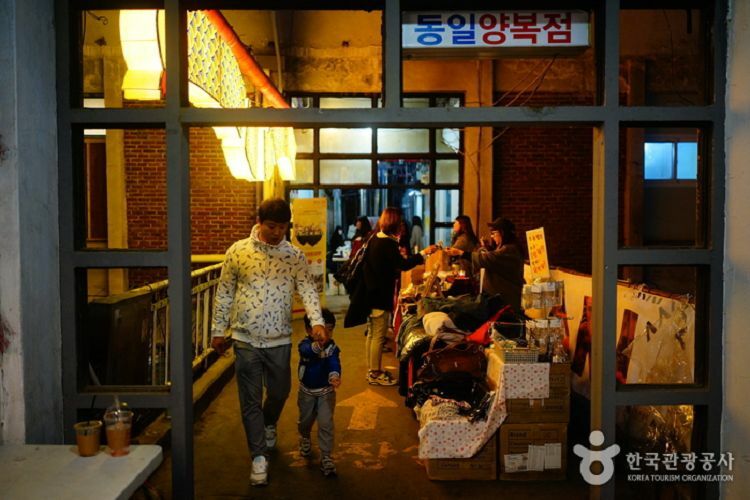 Visit Wonju Traditional Jungang Market and enter into “Maze Art Wonju Central Market,” which is on the second floor of the market. Have some Korean pancakes, too! 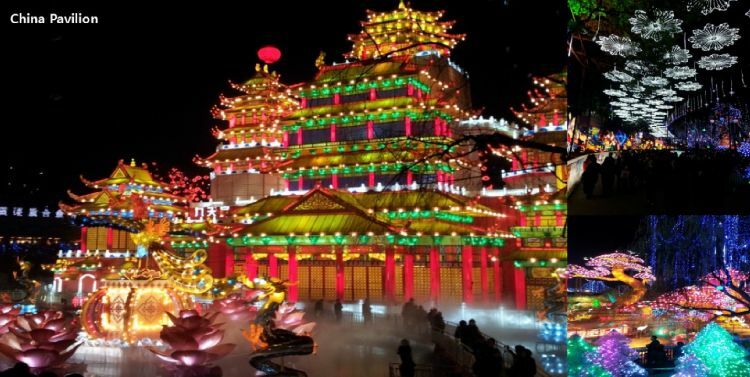 Don’t forget to visit Chungju Light World, the place where lights shine in harmony at night! Take photos of plenty of things to see at Chungju Light World, which consists of the World’s Theme Zones, Chungju Theme Zone, and Installation Art Zone! Light World begins with the history of fire in many countries from a few thousand years to a few decades. Chungju Light World is Korea’s first representative tourist spots, where with stories and messages that beyond from simple visual lighting arts to various light materials, from candle to LED and virtual reality theme, and from traditional to high-technology. • Have fun finding iconic architectures of each country in the World’s Theme Zone. • Enjoy lighting buildings that represent Chungju! Wonju traditional Jungang Market is full of workshops and delicious street foods. Try the Korean seafood pancake, which is famous for its delicious taste. • Explore the market walking through the maze-like alleys! • Shop cute, handmade souvenirs that can only be seen at Jungang Market. Sogeumsan Rope Bridge is the longest bridge in Korea and boasts a length of about 200m. The cliff view on the bridge is amazing. • Walk on the thrilling bridge!